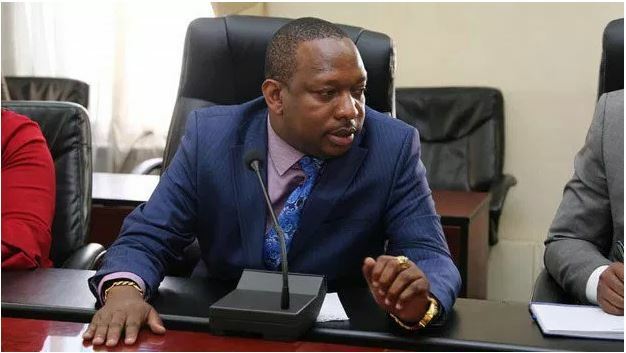 Nairobi County boss Mike Sonko has been fined Sh500,000 by the Senate Public Accounts and Investment Committee (CPAIC) for failing to honour its summons. The Nairobi governor had been summoned on Monday to explain audit queries raised by Auditor General Edward Ouko but failed to show up. Committee chairman Moses Kajwang on Monday said Sonko must pay the fine before November 5, further directing him to appear on December 5, 2018. The committee further stated that it would order for Sonko’s arrest, as outlined in the Powers and Privileges Act, should he fail to comply with the latest order. In August, Mike Sonko snubbed the committee for the second time and sent Charles Kerich, county executive in charge of Land, but the committee declined to listen to him. “The Senate will not be taken into a charade and our business is to have the governor appear before us and answer how billions of money was spent in the county. “We cannot listen to a county secretary who has written to us,” said Kajwang at the time. Mike Sonko is required to answer to audit queries dating back to the 2014/15 financial year when former Nairobi governor Evans Kidero was in office.